Born in Buenos Aires, Mr. Olivera’s first teacher (who was his father) encouraged him to begin playing the pipe organ when he was three. Two years later, he was appointed organist of the Church of the Immaculate Conception. At six, he entered the Buenos Aires Conservatory to study harmony, counterpoint and fugue. Beginning to learn the art of improvisation there, by nine, he had composed a suite for oboe and string orchestra, which was performed by the Buenos Aires Symphony Orchestra. At age twelve, Mr. Olivera entered the University of Buenos Aires where he studied with Hector Zeoli and Juan Francisco Giacobbe. By eighteen, he had performed more than three hundred concerts throughout Latin America, appearing frequently on Argentinean radio and television. During this time, he also served for three years as the senior improvisational accompanist for the Collegium Musicum in Buenos Aires, vastly increasing his prodigious improvisational talent. In 1965, New York’s prestigious Juilliard School of Music offered him a scholarship. He immediately moved to the United States to study with Vernon de Tar and Bronson Reagan. Three years later, Mr. Olivera won the National Improvisation Contest sponsored by the American Guild of Organists, thereby launching his outstanding professional concert career. Besides playing many concerts in the United States, Mr. Olivera has performed in Australia, France, Germany, United Kingdom, Wales, Scotland, Holland, Italy, Japan, Canada, Mexico, China, Argentina, Belgium, New Zealand, Singapore, Malaysia, Taiwan, Spain, Austria, Norway and Switzerland. Prestigious venues have included the Cathedral of Notre Dame in Paris, Carnegie Hall in New York, Royal Albert Hall in London, Spivey Hall in Atlanta, Constitution Hall in Washington D.C, the Fox Theatre in Atlanta, Balboa Park in San Diego, Myerson Concert Hall in Dallas, Verizon Hall in Philadelphia and Walt Disney Concert Hall in Los Angeles. In 1988, after years of performing in the United States, Maestro Olivera was invited to play once again in Argentina. Upon arriving, he was welcomed as a national hero with ‘Standing Room Only’ concerts attended by celebrities and heads of state, as well as featured on national radio and television shows. His collaboration with the Pasadena Symphony produced a ‘Limited Edition Gold CD’ featuring Mr. Olivera in the Saint-Saëns Symphony No. 3. In 2000, Mr. Olivera performed a solo memorial concert in New York City’s ‘St. Paul the Apostle’ as a tribute to his hero and role model, organist Virgil Fox. He played a subsequent Virgil Fox Memorial Concert at Grace Cathedral, San Francisco in 2004. 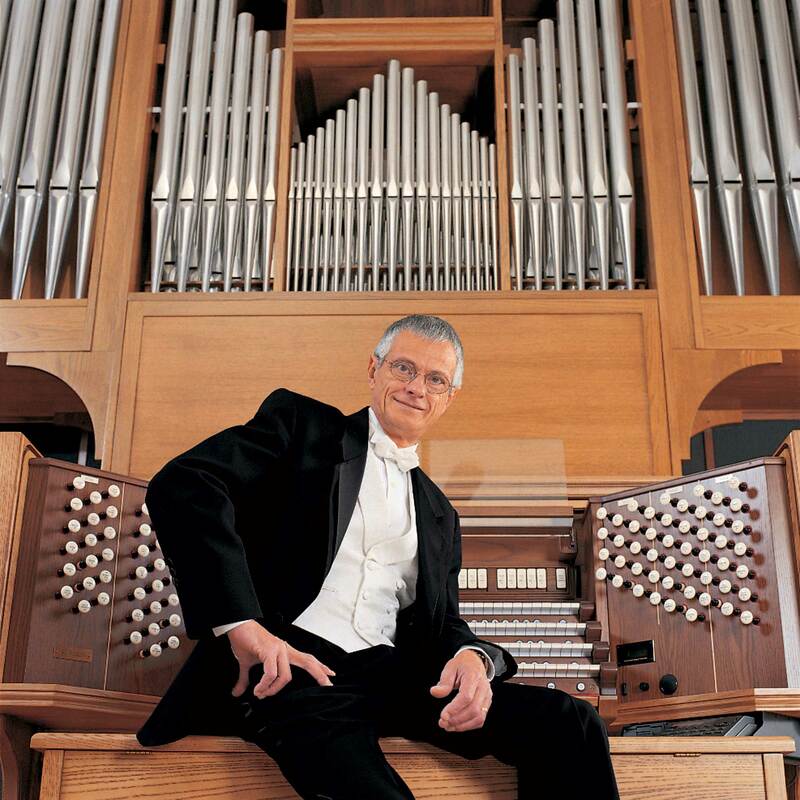 In 2002, Mr. Olivera was invited again to perform for the American Guild of Organists’ National Convention, where his transcription of Stravinsky’s ‘Firebird Suite’ spontaneously brought the large audience of peers to their feet. Again, in 2004, his appearance before the Guild’s National Convention in Los Angeles was considered an historic triumph by 2,200 cheering organists, who gave him four standing ovations in 45 minutes. By invitation, Mr. Olivera performed a solo concert that was attended by an audience of 5000 at Notre Dame Cathedral in Paris on August 12, 2007. Mr. Olivera continues to thrill audiences with both solo classical literature and his own orchestral transcriptions, now released on DVD and more than 20 classical, contemporary, and film score CD’s.